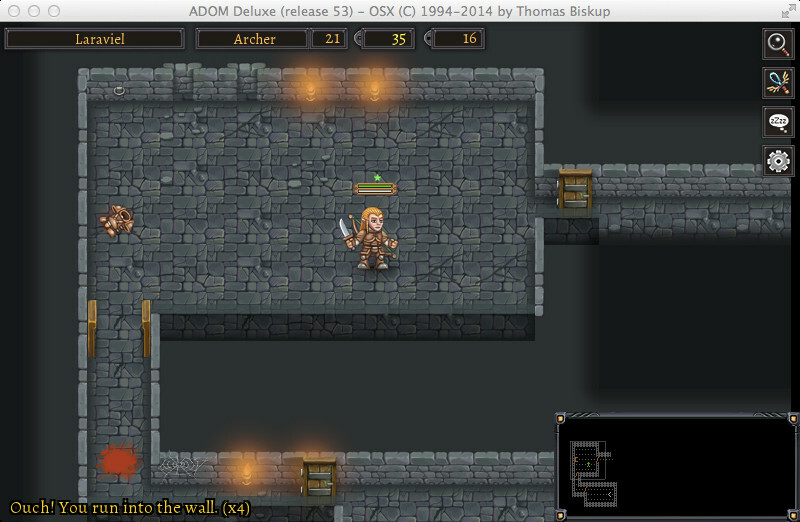 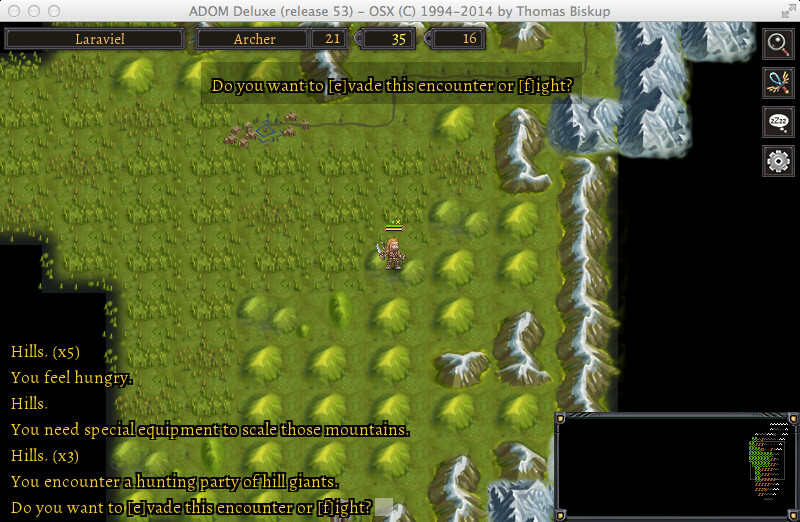 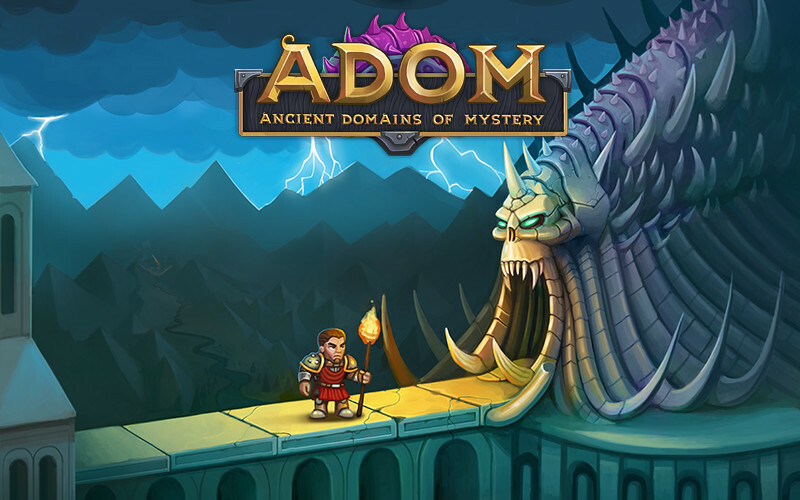 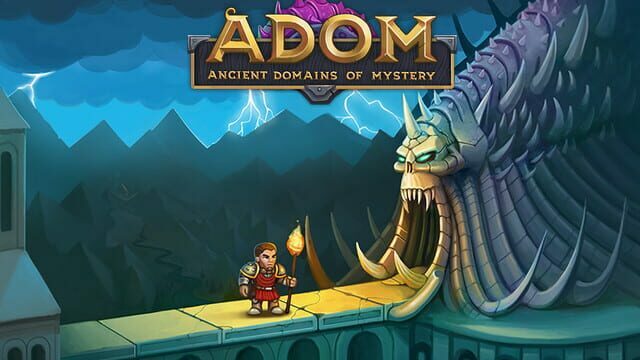 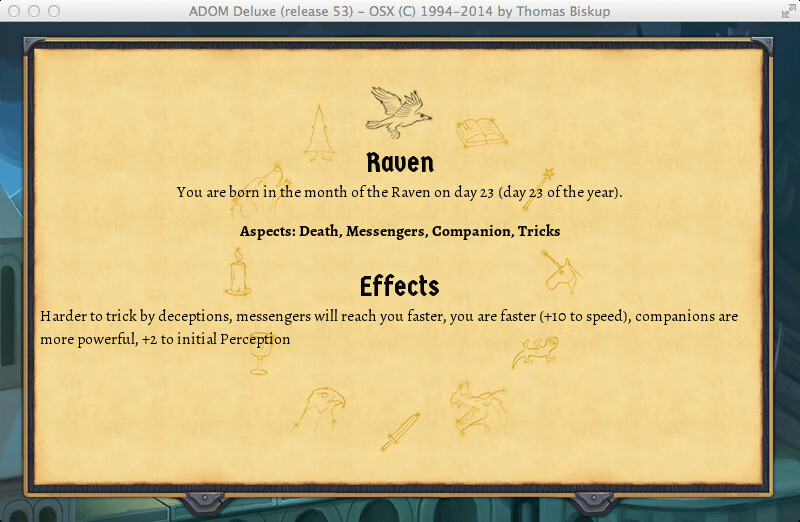 ADOM (Ancient Domains Of Mystery) is one of the most successful roguelike games ever created, boasting a brilliant mix of story, RPG, exploration, and intensely strategic and flexible combat. 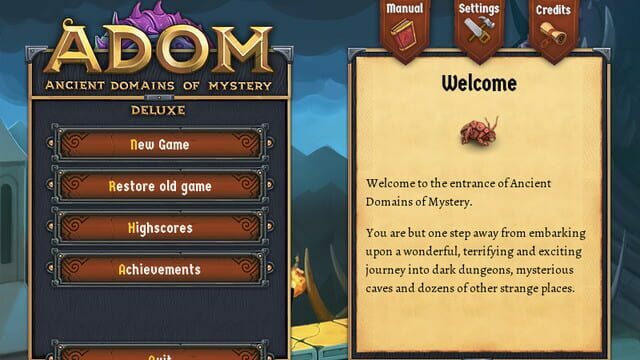 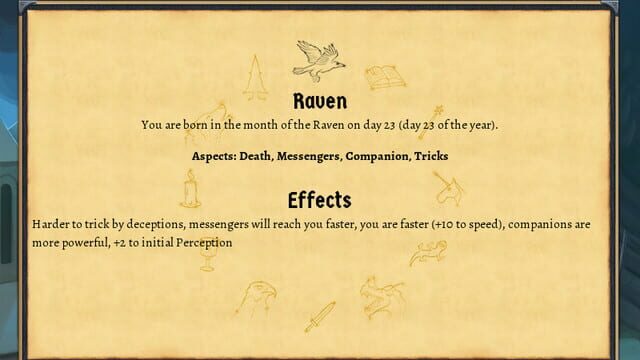 The Steam version adds various Deluxe features like achievements, difficulty level customization and various play modes (e.g. 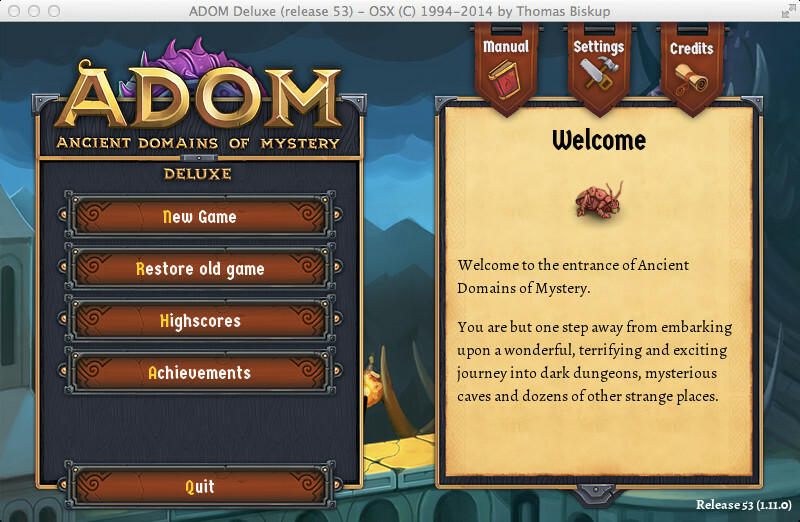 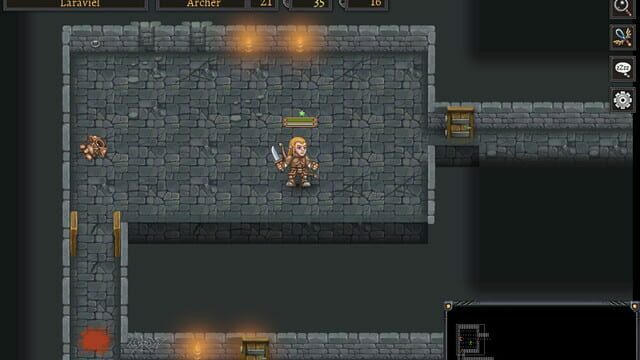 a story mode allowing to save and restore games, a weekly challenge game, an exploration mode and more).